You deserve a top Pradaxa lawsuit attorney with a track record of success on your side through the whole claims process. You need lawyers with the experience and financial resources to take on a huge multinational drug company. Our attorneys have collected over $900 million for our clients. Let us help you recover compensation for injury or wrongful death damages on your Pradaxa claim. Contact us today for a free, no obligation attorney consultation. Pradaxa is an anticoagulant (blood thinning) medication used to reduce the risk of stroke and blood clots in patients with non-valvular atrial fibrillation (AF), the most common type of heart rhythm abnormality. It is in a class of drugs known as direct thrombin inhibitors, which thin the blood by targeting the enzyme thrombin. The frequency of AF increases with age. About 8% of people over 80 suffer the heart condition. 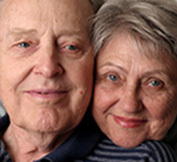 Pradaxa is commonly prescribed to elderly patients. Manufactured by German drug company Boehringer Ingelheim, Pradaxa was approved by the FDA in October 2010, the first new anticoagulant pill for that purpose since Coumadin (warfarin) was approved in 1954. Unlike warfarin, Pradaxa does not require constant blood monitoring or continual follow-up doctor visits and dosage adjustments. It can be taken orally and has relatively few major food or drug interactions compared to other medications used to treat atrial fibrillation. Highlighting these features, it was marketed as a wonder drug. Seen as an attractive alternative to warfarin, doctors eagerly prescribed the new medication. In 2011, approximately 2.2 million prescriptions for Pradaxa were filled in the U.S..
On December 7, 2011, the FDA issued a Safety Alert that Pradaxa use had been linked to an increased risk of permanent disability and death from uncontrolled internal bleeding and hemorrhaging. The drug alert was based on data from a large clinical trial of 18,000 patients comparing Pradaxa (dabigatran etexilate mesylate) and warfarin. The study showed that major bleeding events occurred at similar rates with the two drugs. The FDA news release alerted health care professionals and patients about the new study results. The FDA currently is evaluating reports of serious bleeding event in patients taking Pradaxa submitted to the Adverse Events Reporting System (AERS) database. In 2011, thousands of serious adverse events linked to Pradaxa use were reported in the U.S., including 2,367 cases of hemorrhage and 542 deaths. A 2012 case study published in the Journal of Neurosurgery showed that after even a mild traumatic brain injury, patients using Pradaxa may suffer catastrophic cerebral hemorrhage and death. If you or a loved one suffered internal bleeding, kidney or brain hemorrhaging, or heart attack after use of the drug Pradaxa, contact us today so we can help you. Get a free no-obligation consultation with a top Pradaxa lawsuit attorney. Our experienced lawyers would like to speak with you about your legal rights. We are here to listen, provide information, and give you options about filing a lawsuit and your potential claim to a Pradaxa settlement. Get a free, no-obligation consultation. Complete this form and submit it to us today.